Giving All Kids A Chance To Play! Burnaby MoreSports Society (BMS) is a charitable nonprofit providing no-cost sports recreation, mentoring and leadership opportunities for children and youth living in Burnaby. BMS programs serve children that typically do not participate in organized sports because they have previously experienced traditional barriers to participation for a variety of reasons. In many cases, these children lack physical literacy skills, which reduces their inclusion in organized sports and recreation activities and can impact their long-term health and well-being. In 2008, Burnaby School District (SD41), Burnaby Neighbourhood House and City of Burnaby Parks, Recreation and Cultural Services, partnered together to form the Burnaby MoreSports program. Since its formation as a nonprofit in 2011, the Burnaby MoreSports Society has been working with its partners and community supporters to provide fun sports recreation opportunities to more children in Burnaby. Our free programs also use volunteer junior (Gr. 6-7) and senior (YELL) coaches (Gr. 10-12) to support program delivery. Our work gives everyone involved valuable skills and positive experiences that serve them well into the future. To create sustainable community sport programs in Burnaby neighbourhoods, so that all children and youth have an opportunity to develop fundamental life skills and a love of sport. Every child in the city, regardless of social or economic background or special needs, will regularly participate in a sport and develop a life-long love of being active. 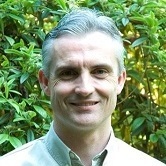 Glenn (Executive Director) joined BMS in 2018. He has worked in senior management, board and consulting roles in the nonprofit sector since 2007. Glenn has played sports all his life. He represented his high school on many sports teams and played for professional soccer clubs in England throughout his youth. During his studies at the University of London, Glenn was selected to play soccer internationally for England and Great Britain Universities. Glenn has enjoyed coaching club and high school youth soccer in Burnaby since 2012, and he is excited to combine his nonprofit expertise and passion for sports to help more kids stay active and have fun. Larissa (Acting Program Coordinator) was a YELL coach for two years before joining the team in 2015. 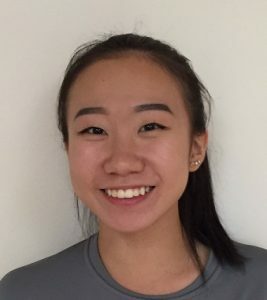 She is majoring in Integrated Sciences in the disciplines of Human Physiology, Immunology and Nutrition at UBC. She has been playing sports since she was 6 years old, as well as coaching high school volleyball for several years. Larissa believes that life skills such as teamwork, dedication and hard work can be developed through sports, and she hopes to mentor and inspire a passion for sports in youth. Her favourite sports to play are volleyball, soccer and basketball, and she is also a big fan of hockey and figure skating. Joseph (Joey) (Acting Program Coordinator) volunteered for one year as a YELL coach and was hired onto the team in 2016. He is in the Business program at Langara College and has been playing soccer competitively since he was 5 years old. Joey enjoyed both coaching and playing high school soccer as well as basketball. He believes that getting kids involved in team sports at a young age is essential to their development by teaching them important social and psychological skills while also improving their physical health. Having seen the value that team sports has given to his life, Joey is inspired to give back to the Burnaby sporting community that continues to be such a vital part of his life. 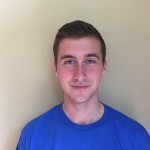 Cole (Program Leader) is a business student at Simon Fraser University’s Beedie School of Business. He volunteered as a YELL coach for one season and joined in the Fall 2016 as a Program Leader. Cole has played many different sports competitively and is an avid outdoorsman. His favourite sports are volleyball, snowboarding and hiking, and he frequently participates in obstacle course races and mud runs such as the Spartan Race. In high school, he coached Moscrop’s dragon boat team, working to create a sense of teamwork and togetherness in an inclusive environment. After being part of multiple sports teams, Cole believes that the skills and lessons learned from sports and after-school programs are transferable to everyday life. He hopes to engage those around him and create a safe environment that will help promote these life skills. 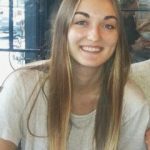 Makenzie (Program Leader) is studying International Studies with a concentration in Comparative World Politics, Society, and Culture. She grew up playing a variety of sports and believes being on a team has helped shape her into the person she is today. She sees the value in teaching kids the skills that sport can offer, such as teamwork, confidence, self discipline, as well as gaining a sense of identity, all while making friends, having fun and being active. Makenzie joined the team to instill these lessons into vulnerable children and to engage more with her community. Tyler (Program Leader) is a student at SFU studying criminology. He has been involved in sports his whole life, playing soccer from aged 5 until now, and also playing baseball previously with his brother (Cole). He has always embraced challenges in sports and often played with older people to improve his skill levels as one of his team’s top players. 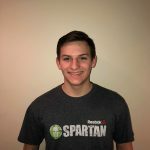 Tyler enjoys all sports and anything active, including obstacle course races such as the Spartan Race. 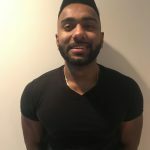 Before joining Burnaby MoreSports in 2018, he was a volunteer YELL coach in high school. He believes that having sports and physical activity at a young age is very important for developing physical and mental fitness, and maintaining a healthy and active lifestyle. Naresh (Program Leader) was a YELL coach for 3 years before joining the team in 2018. 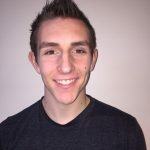 He’s currently studying Engineering at Langara College and has played many different sports growing up including football, ice hockey, and soccer. He believes playing sports at a young age will not only help develop important life skills, like teamwork, communication, and discipline, but also help build confidence and self-esteem. Naresh is also a major fitness fanatic who hopes to motivate and inspire others to stay active and healthy. Jolisha (Program Leader) loves working with kids. After many years of studying and practice in her chosen profession of Child & Youth Care, she developed her hobby interest in travel. Now, when she has time, Jolisha travels the world, working as a youth counselor and activity programmer for various cruise lines. She believes this is the best of both worlds – exploring the world and working with kids of all different nationalities. Her life has also revolved around sports and recreation from an early age, when she first started playing recreational soccer. She believes sport provides much more than just physical benefits. In addition to teaching motor skills, it helps develop character and social skills, such as problem solving, resilience, perseverance, confidence and teamwork. Jolisha’s early involvement with sports taught her many things she uses today, and she is glad to have turned her passions into a career. 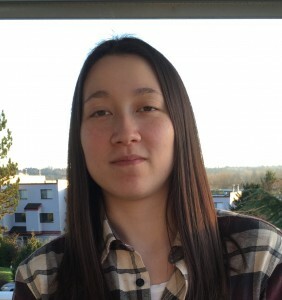 Zihui (Program Leader) is currently studying Sport Science (specializing in Health and Recreation) at Douglas College. He loves to play basketball and other sports, such as badminton and running. Playing sports has been a major part of his life since he was a young kid. 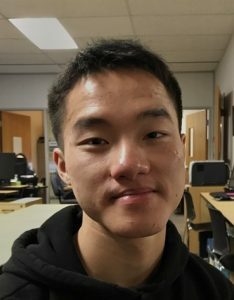 Zihui volunteered for multiple seasons as a YELL coach at Burnaby MoreSports, and he has returned because he loves to share his passion for sports with kids in the local community and hopes to inspire them to continue to find and do what they love. Maggie (Program leader) is studying Arts at UBC, and is looking forward to becoming an elementary teacher when she completes her degree. She loves playing various sports, like volleyball, basketball, soccer, and track and field. She is currently a soccer coach for kids 2-5 years old. Maggie believes that playing sports not only contributes to improving one’s health and fitness, but also serves as an opportunity for individuals to build their self-confidence, learn and appreciate the importance of teamwork, make new friends, and improve their communication skills with peers. Mike (Past President) has been on the Board of Directors since 2013, serving previously as President, Treasurer and Director at Large. Mike has a background in health care and currently works in the IT sector. He thinks that building kids’ confidence through sports can help them succeed later in life. Sue (President) joined the BMS Board in 2015 and has over 25 years of nonprofit experience as a volunteer, board executive and paid administrator. She worked and volunteered for the Burnaby Girls Soccer Club for over 10 years, with her last held position as President. Sue was also a Director for the former North District Girls Soccer Association. She has a professional background in the IT sector and is currently the Labour Relations and Data Analyst for the Post-Secondary Employers’ Association. Her involvement with Burnaby MoreSports is a culmination of two great interests – sports and nonprofit administration. Dallas (Vice President) joined the Board in the fall of 2017. He has a background in accounting and currently works with the provincial government. Growing up in a small farming town in Manitoba, he knows the importance of giving back to his community. Sports has always been a big part of his life and he recognizes the impact sports can have on a child’s future. The life skills that can be developed will stay with the kids as they go forward in their lives. Brandy (Treasurer) became a member of the Board in early 2019. Brandy is a qualified CPA and finance manager, who is happy to volunteer for such a worthwhile community-based organization in Burnaby. Tyler (Secretary) is a political communications professional who joined the BMS Board in 2018. Eric (Director at Large) served previously as Treasurer and has been on the Board of Directors since 2015. As a Chartered Accountant, he brings significant financial, tax and compliance expertise to the Board.